Information submitted in a nomination letter to the U.S. National Ski Hall of Fame by Bill Berry. Anton Lekang was a ski jumping superstar who captured his first career tournament at the age of eight years while using a pair of barrel staves in a high school meet in his native Northern Norway. From that springboard, Anton Lekang won more than 50 major ski jumping prizes in Norway, Canada and the United States. He set numerous hill records, winning a host of ladies’ cups symbolic of graceful style and became U.S. Amateur Champion in 1932. He designed great professional hills in sections of the country that had not been ski jumping territory and starred in their meets. 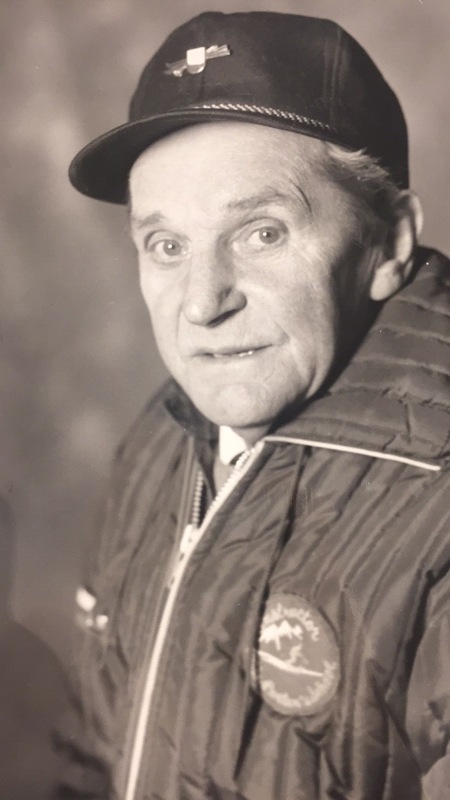 He was a leader of the groups which pioneered ski jumping at the Boston Garden, Madison Square Garden in New York, Philadelphia and Pittsburgh. However, Anton Lekang was more than a performer, a designer, a pioneer in the changing sports scene. He used his great talents to teach and set an example to many generations of youth. While at the height of his career, he designed and helped construct a trestle hill for the boys and girls of his adopted town in Northwestern Connecticut. Lekang’s early career in Norway was marked by distinguished success. It was 1st place and the ladies’ cup at Stokmarkness; 2nd place and the ladies’ cup at Narvik and 1st place and a new hill record at Svolver. At Bodo, he won the Northern Norway Championship two years and the ladies’ cup. At Moe-in-Rine, he took 1st place, the ladies’ cup and he set a new hill record. In 1924, at famous Tonsberg, he was 2nd and picked to represent Northern Norway at the great Holmenkollen meet where he had the longest jump of the day – 140 feet. He immigrated to the United States and in the late 1920s, began to make his presence felt. Anton Lekang was an exponent of the Narve Bonna style of ski jumping – slight bend at the hips, flat out over the tips of the skis, in perfect harmony with the hill. It was the forerunner of the “aerodynamic” style developed in the late 30s and 40s by the Kongsberg, Norway school of jumpers. Lekang was the first to introduce it to this country and it was a winning style. Anton Lekang was elected to the U.S. National Ski Hall of Fame in 1977. If you notice any errors or inconsistencies in Anton Lekang's bio, click here to let us know.